✅ Trip Verified | Cape Town to Mauritius return. Both flights very good in terms of cabin service, friendly engaging and polite crews, food OK (ex CPT) to good (ex MRU), plentiful drinks rounds, seat space, VOD quality (although very small screens). Both flights on time, quick baggage retrieval on arrival and a breeze through immigration + customs in both CPT and MRU. Would definitely fly Air Mauritius again and glad to have paid a little additional fare for non-stop flights rather than transferring via JNB. "A340 was looking very dated"
✅ Trip Verified | Kuala Lumpur to Mauritius via Singapore. This is a 'trying' airline. They try, but they don't quite get it right. 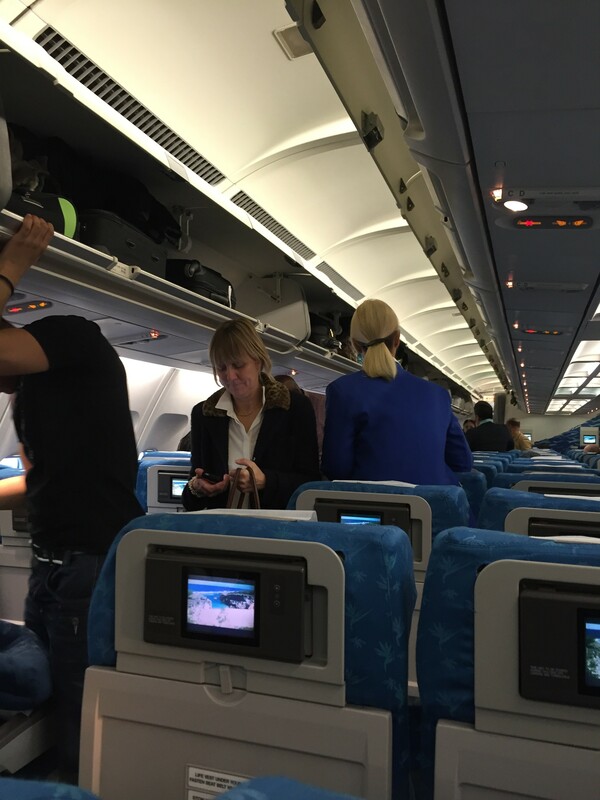 I had 4 flights with Air Mauritius. 1 was cancelled without notifying me and then rebooked for a departure a day later, another delayed by 3 hours and the aircraft substituted with a smaller plane. 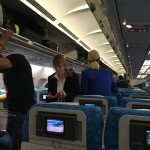 As a result of the plane substitution, all pre-arranged seating allocations were scrubbed and worse seats allocated instead. The inflight entertainment didn't work and to top it off, my partner and I were asked by the purser to move so a 10 year old boy could sit in a very slightly different configured seat with his mother to the one that they had been allocated. No other passengers were asked to move. Ground crew and on board crew carried out their jobs in a perfunctory and robotic manner, going through the motions, but not really caring at all. The inflight fish curry meal was good. The web site provides limited and misleading (or no relevant information at all) particularly in relation to updated seating maps and airline lounge arrangements.. When I called the Service Centre I was told that when I arrived in transit from Australia into Kular Lumpur on an Air Mauritius code share I would have to collect my baggage and recheck it in. This was incorrect, as was the information I was told as to which airline lounge to use. All first world problems I suppose... and perhaps not the biggest of issues for an airline from the third world. Service was passable and safety good, but nothing more and cannot be recommended. One of my flights was on an A340 which was looking very dated, particularly from an inflight entertainment (tiny screen) and seat comfort perspective (rigid, won and uncomfortable). I would definitely avoid that type of aircraft on a long route. ✅ Trip Verified | London to Mauritius. The worst flight, we was flying as family. Seats was so small, 38C, D E. Aircraft was so old, it had ashtrays there? My husband was moved to other seat after we told staff about his DVT, but they only acted after we decided to get off from this plain. Seat was so small I actually ended up standing for half of the flight because if person in from of me reclined his chair and I couldn’t seat move my knees was trapped. It’s was so cold too, other people was cold too not just us. I hope air Mauritius will scrap this aircraft as soon as possible. ✅ Trip Verified | Singapore to Reunion via Mauritius. 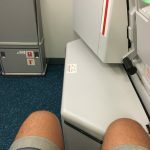 I've flown with Air Mauritius for more then 30 times but this was the worst experience. First there was no connecting flight from Singapore to Reunion, I was told to book a hotel in Mauritius and stay over night. Bad experience, the flight was delayed for 30mins, then an announcement was made that more information will be announced at 11am. My flight scheduled for 10am was cancelled but only at 1pm the announcement was made. How can one spend so much more money in Mauritius than the flight ticket itself. "pleased we had chosen the A350"
Not Verified | Mauritius to Paris. We had flown the outward journey from Amsterdam on a KLM Boeing 787 and I had wanted the opportunity to fly in the A350 to have a personal comparison of the two aircraft. My wife and I were really pleased we had chosen the A350 for our return journey; it is more comfortable, stable, roomier and significantly quieter then the 787. I slept for five hours during the overnight journey from Mauritius having failed to sleep at all during the outward 787 journey, also overnight. So, thumbs up for the A350. The service throughout the return journey was excellent, from the staff at check-in to the lounge staff and the on-board staff. Food was excellent, the fish dish served at dinner every bit as good as any of the several fish meals I had enjoyed on the island. Well done Air Mauritius and well done the A350. ✅ Trip Verified | Johannesburg to mauritius on the A350-900 ,all were good except that my 7 years old daughter was not on the list for souvenirs as other kids on board were. My main concern is my return flight Jan 18 2019 on the A319. 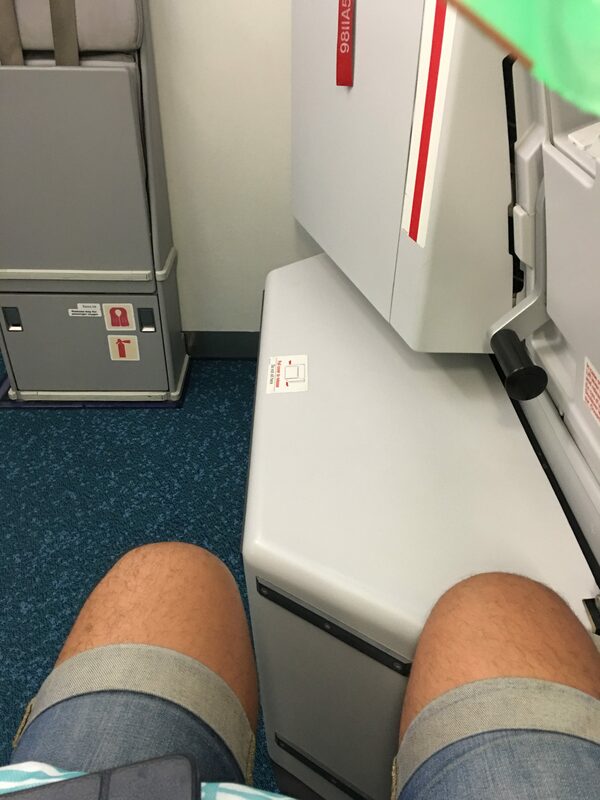 I’m a 90kgs guy and my nightmare started once the flight took off with the front passenger who decided its time to rest so she leaned her seat backwards. I was squeezed, even the magazines I couldn’t read as the space was very tight. Arrived the time for lunch,the hostess served her and didn’t inform her she need to put her seat back to its normal position, I’m the one you did it by tapping on her arm to please move forward so I can eat properly. She wasn’t very happy by me asking but I couldn’t care more as I paid to travel. I saw the hostess distributing a small backpack bag to the kids then again nothing for my daughter and I asked this time,what the criteria to qualify to receive? Was told my daughter wasn’t on the list. Second time no souvenirs. Was told they would post them to us but didn’t mention which year. Until today Sunday feb 03 there is no updates from Air Mauritius about it. "customer service is really poor"
✅ Trip Verified | Mauritius to Rodrigues. Horrible service! I sent numerous emails, I phoned the recovery department so many times regarding my flight which happened 3 weeks ago (which was delayed by almost 5 hours). And nobody even had the decency to answer one of these calls / emails! In my opinion the department does not even exist, even the manager is MIA. The only option I have is to call call-centre agents who are not even capable of directing me to the right person, they just pass me through to another department. One of the agents even told me that it's easier for me to go directly to the office in the capital to talk to someone from the department. I wonder why they have phones to begin with. The customer service is really poor! They'll definitely be there to take your money, for the rest, not so much. You definitely won't get anywhere close to what you paid for. Stay away! "would not hesitate to fly Air Mauritius again"
✅ Trip Verified | My wife and I have just travelled London Heathrow to Mauritius and return via Virgin holidays. Having read a number of reviews criticising the airline, I was a little apprehensive about our flight. No need to have worried. 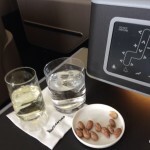 As an economy class passenger, I found the service as good as any airline I have flown with. The food was acceptable, the service from the crew was as good as any. The aircraft was old and the seat size was small. The ground service was again as good as any airline. In conclusion I would not hesitate to fly Air Maritius again. ✅ Trip Verified | I was apprehensive to begin with when booking Air Mauritius but decided to give it a shot. Unfortunately, my concerns were proved right. We flew them from Perth to Johannesburg, with a 3 day stopover in Mauritius. Upon arrival in Perth, we discovered that the inbound flight was cancelled which meant an overnight stay in Perth. The replacement flight was due to leave at 8.30am the following morning. Upon arrival to the airport we discovered this had changed to 9.30am. 20mins after boarding was due to start, the flight crew stroll into the airport lounge, none of them worrying or rushing to get going, the end result being a further 90min delay to an already 20hr delay. Upon boarding the plane, we sat down in seats that had an entertainment system from the 90s, not even worth having there. 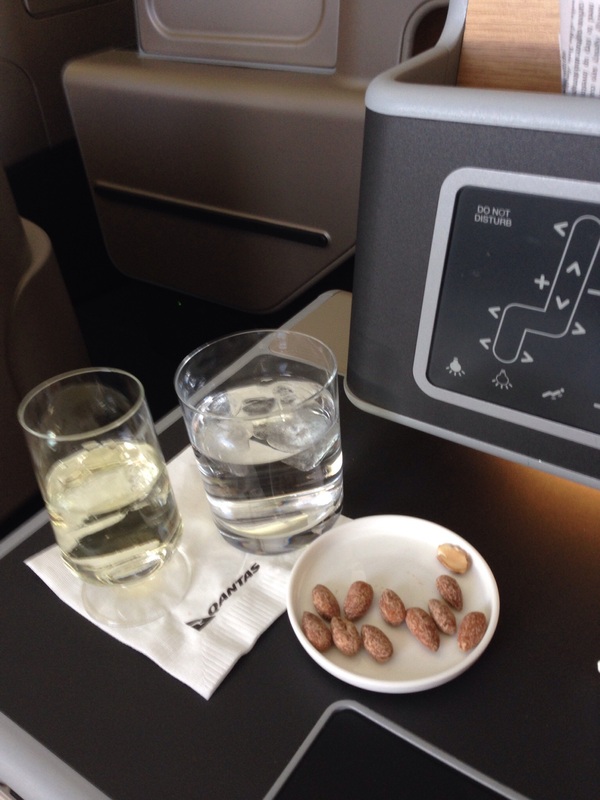 On board service consisted of a snack and drink, followed by lunch and a drink shortly after. We did not hear from the cabin crew again for another 5hrs (prepare to be thirsty). Even when pressing the button for flight crew service, nobody came to my seat to assist, with flight crew even walking straight past the service light on the panel above the seats. The end result of this experience was a planned weekend in Mauritius turning into a single day. Very, very disappointing.